Cafe table in teo finish choices. Manufactured for a 20 working day lead time. Suitable for use wuth table tops up to 600mm diameter. Price excludes top. Part of the Pinocolada range of café furniture this café table has a matching bar stool and low stool. A funky design this range of café tables is manufactured in Europe and is available on a turn around of four weeks from order. These tables can be used with table tops from our café table top selection in a size of 600mm diameter circular. 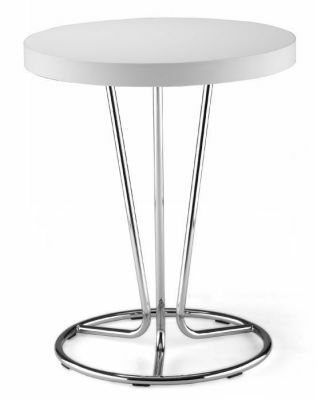 This range of café tables has been recently launched and is one of our most popular.